Welcome to Little River Flower Farm. We are a certified organic farm and have been making a living on our land for over 19 years. It has been exciting to work outside everyday surrounded by mother nature’s beauty. As the seasons change so do our tasks at hand. Our philosophy is to be kind to nature and it will reward you tenfold. Also to leave the land better than we found it. The land has responded back with us growing delicious fruits and vegetables and beautiful flowers. We are all about sharing our farm with people who want to share their special day in a natural setting. We can host anniversary parties, class reunions, birthdays, with weddings as our specialty. Click on the Weddings and Events at the Farm link for more information. We are all about growing nutritious vegetables. We offer summer & winter CSA’s (Community Supported Agriculture). Some people like to come to the farm to retrieve their shares, but we also offer delivery to Portland! Check out our CSA’s link for listing of crops and other pertinent details. 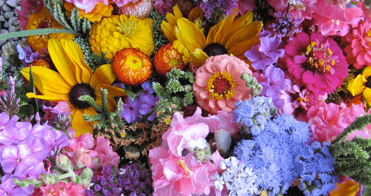 We are all about growing beautiful cut flowers. We raise thousands of flowers every year in a large greenhouse, a hoop houses and in our fields and perennial beds. The flowers come in every size, shape, and color from selections you would find in Grandma’s garden, the latest Asiatic & Oriental lily hybrids, incredible lisianthus collections and hundreds of dahlias. For a more detailed flower list check out what we grow under the link visit our farm and greenhouse. 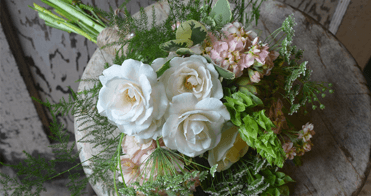 We grow and design flowers for memorable events. We specialize in weddings, anniversaries, and other events. You can also make arrangements to come to the farm and pick your own. 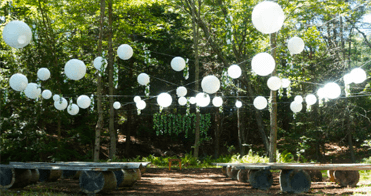 Wedding parties and other groups have come from all over the country, picked flowers for their special events in Maine and took away a lifetime memories. We are all about growing sweet and delicious blueberries. The high bush blueberries ripen between late July/August. So come visit the farm and pick your own blueberries, and cut flowers. Leave with a smile on your face and some of nature’s bounty in hand.